Divvy thrives on web-to-print made specifically to benefit your franchise. We accomplish our automation through web-to-print print portals, made specifically for each franchise we work with. Franchisees can place orders of products designed by corporate to get branded kits, campaign pieces, and promotional material delivered straight to their business. Here’s what sets using web-to-print portals apart from traditional ordering methods. Using web-to-print processes streamlines the ordering process, saves time, and reduces waste. Divvy handles large orders on a regular basis, meaning we’re prepared to deliver quality, timely orders no matter the size. Online previews allow the owner of each portal to check the design, variable data, and layout of each order piece. This saves you time as you plan the elements of your campaign. We allow you to duplicate previous orders as well! This makes it easy to repeat elements of a campaign or send repeat pieces to recipients. If you need to create an element again, this saves you and your franchisees time. The efficiency of online portals continues to benefit our clients by reducing costs. Saving time on our end–whether in design, printing, or shipping–means we can pass those savings on to you. That gives you more leeway to make your marketing campaigns even more spectacular for your audience. As always, Divvy focuses on keeping your branding uniform. We use your colors, fonts, and designs. Down the road, this will save you money by avoiding the misrepresentation of your brand as well as potential reprints. With Divvy’s portals, franchisors can keep an eye on everything their franchisees order. Our web portals let you track everything about an order, as well as shipping once the items have been completed and sent out. Track orders by date range, product, item, companies, or in-process orders. Corporate admins can even simulate their franchisees’ accounts and add items to their cart, if necessary. For some franchisors, this is a vital part of maintaining their brand, giving Divvy an advantage over other web-to-print portals. Because of our online portals, we can send your products, direct mail, and campaign material directly to recipients. Each item will arrive in a recipient’s hands right when they need it. 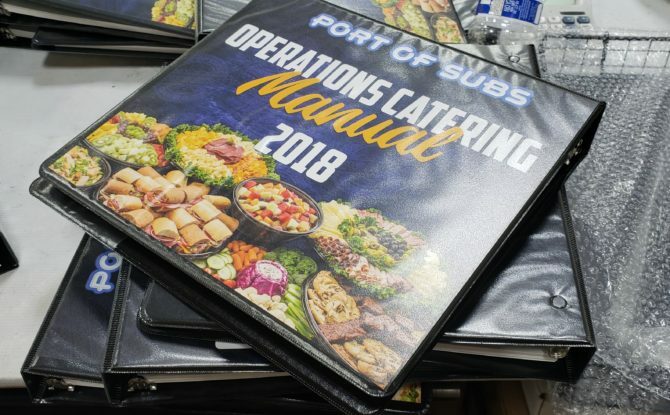 This might involve sending packouts to individual franchise locations at the same time to begin a promotion, or making sure your client base gets a piece of direct mail in time for your special offer. Remember, with our monitoring system, you can track shipping for your orders. On top of all this, Divvy portals are easy to use! It’s simple to place orders, keep an eye on franchisees’ orders, and prepare products for printing all in one place. Plus, we have one final feature for corporate admins: easy-to-assemble kits! Franchisors can add as many products as they need in a single kit, uniquely packaged for store openings, campaigns, or holidays. Franchisees order this kit, which we receive and produce right away. Ditch your old methods of ordering printed franchise material! Join the many companies who automate and maintain their branding through Divvy’s online portals.